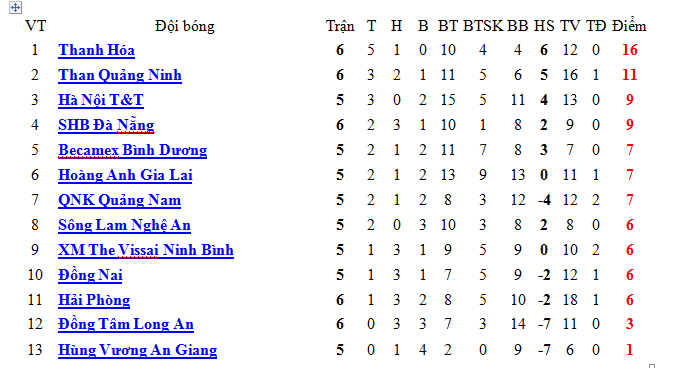 Having been defeated by direct opponent QNK Quang Nam, DT-LA stands still at the second from bottom position on the standing table. 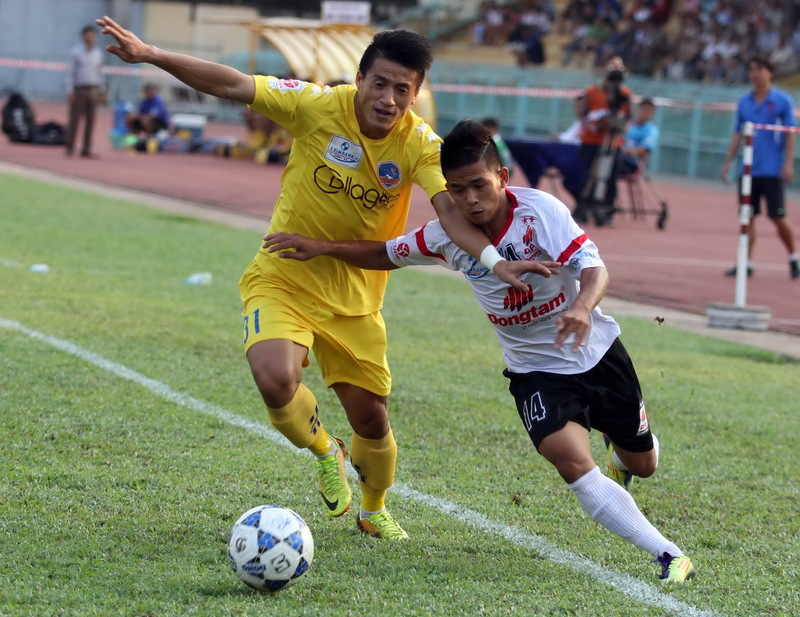 Dong Tam Long An is thirsty for points, therefore they were decisive to win total 3 points over QNK-Quang Nam. From the very beginning of match, Dong Tam Long An created attacks soon. They controlled ball the whole time, however Dong Tam Long An couldn’t take ball into Quang Nam’s net. The first half happened tediously without dangerous situation. The only one when Quang Nam’s goalkeeper Ngoc Tu coudn’t hold ball tighly, Dong Tam Long An’s Tan Tai scored again however this time Ngoc Tu caught it easily. Most of the first time, QNK-Quang Nam concentrated to face opponent’s attacks. In 34th minute, they surprisingly opened the game from Henry’s solo from the central field. DTLA consecutively attacked, disappointingly, they failed to find way to Quang Nam’s net. 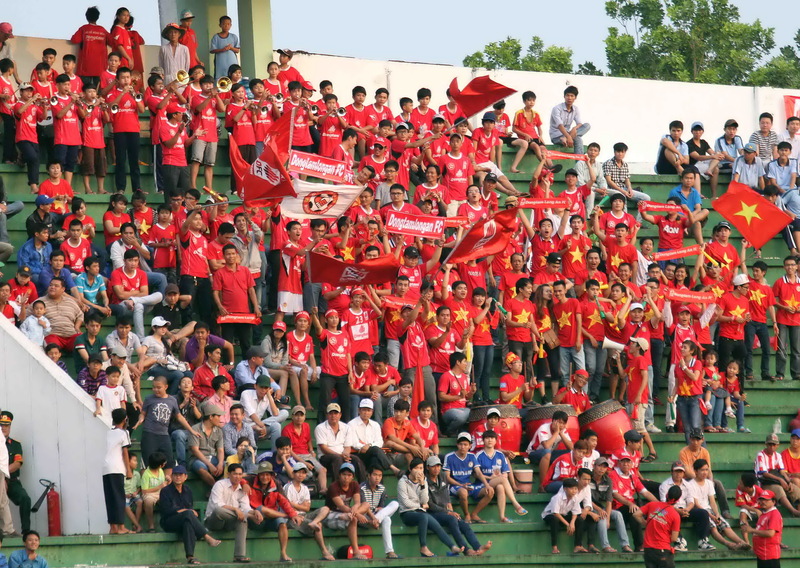 The only noticeable situation was in 60 th minute when Thanh Hai gave a shot however it was refused by cross bar. When Quang Nam’s Hai Anh was sent off for second yellow card, DTLA couldn’t reverse the score. The second goals for Quang Nam came from Thanh Trung in a few minute later. Even though they relised 11m fee-kick in 82th minute to a goal. DTLA had to lost 3 points at home turf. In the remained game between Hai Phong and Dong Nai. Oliver opened for visitors at the end of first half. In 66th minute, Duc Nhan score the second goal for Dong Nai. Lacas successfully shortern to Hai Phong. Nevertheless Hai Phong had to accpet the final result 1-2 for Dong Nai.